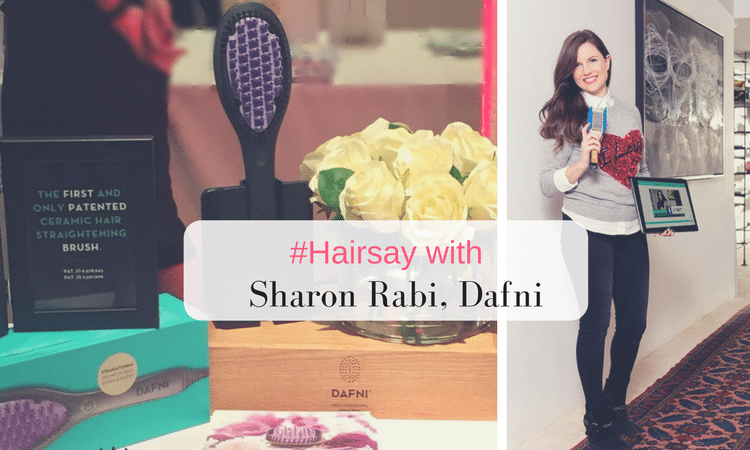 At the moment, hairstyling lords dictate we all have big, glamorous waves but they’re hard to achieve without the right styling tools. Apart from visiting the hairdresser what can you do at home which won’t set you back a fortune and allows you to style your hair in the comfort of your own bedroom? 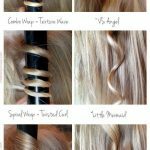 This checklist gives you plenty of information on what you should think about when searching for the perfect large barrel curling wand. Firstly, a curling wand is exactly what it says it is, it has a wand shape and many of them are tapered, with the wider end toward the control panel. This means that ladies with shorter hair can use the narrow end and they also create lovely loose curls too. 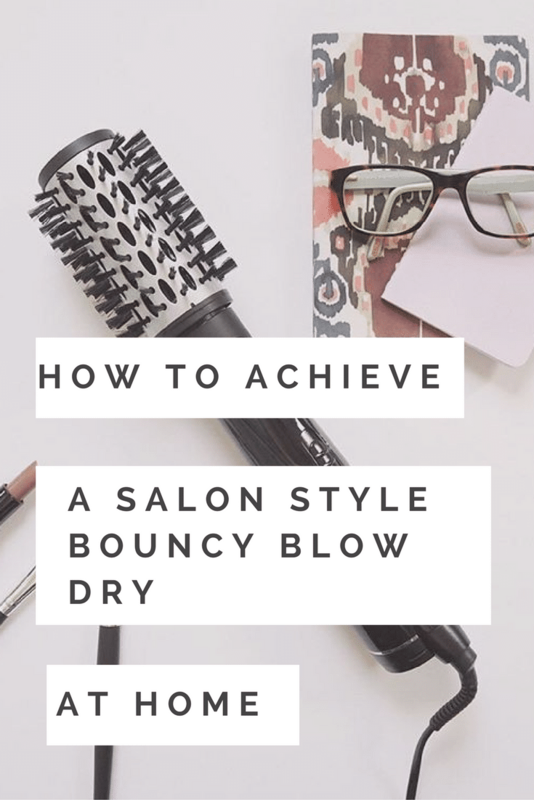 The bigger the barrel the larger the curl so if you have short hair, unfortunately you won’t be able to achieve large curls using a curling wand and you would be better off with a slim wand to give you cute bubble curls. 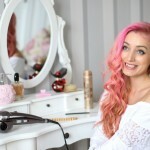 It’s best that you don’t choose a curling wand with just one or two heat settings because then it’s difficult to monitor the heat distribution on your hair. Constant high heat can eventually cause damage such as breakage and split ends and when you want Hollywood hair, you want it to look healthy too! Check the customer reviews, the best place to look for recommendation has to be Amazon.co.uk because people post their own experiences on products and generally the reviews are honest. You do sometimes get fake reviews and even faulty products but in general, if there are hundreds of reviews the majority vote is normally something to pay attention to. Look for anti-static, ceramic and tourmaline technology because when you achieve your curls you want them to be big, bouncy and smooth. The last thing you want is frizz and because many people with naturally curly hair spend much of their time combatting frizz it’s important to seek out these benefits. 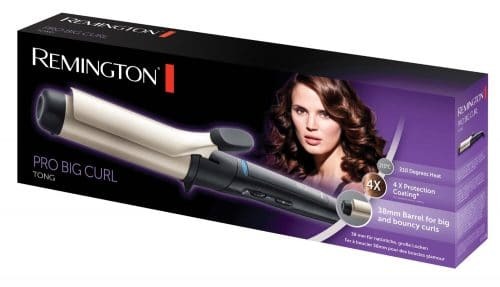 A good product to choose for this is the Remington Pro Big Curl on Amazon and has anti-static technology complete with tourmaline coating and fights against ions so the results promise long lasting smooth curls (incidentally this one scores 3.4 out of 5 stars on Amazon.co.uk out of 44 customer reviews). If you’re always in a hurry, fast heat-up is a must you want something that can get to the right temperature in 30 seconds flat and a very good feature is something which lets you know it’s at the right heat setting using a little light. Lightweight is another bonus because curling your hair with a big barrel can be hard work if it’s too heavy. Make sure it doesn’t hurt your wrist and lightweight is especially important if you want to be able to travel with your curling wand because if it’s too heavy it will weigh down your suitcase when you need that weight for your favourite pair of shoes! If you’re forgetful, auto-shut off is an excellent beneficial feature because there will be no chance of over -heating or risk of burning any precious surfaces so look for this type of technology. 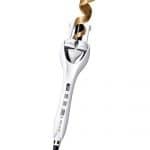 The Toni & Guy TGIR 1927 Glamorous Jumbo Hair Tong has the auto shut-off mechanism. 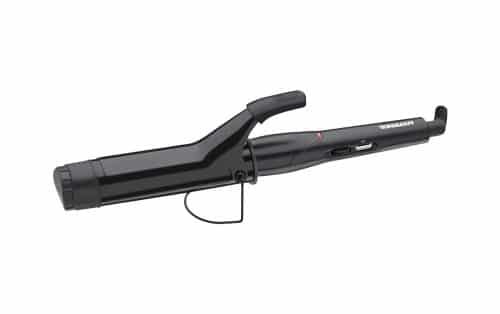 Additionally it also has a 38 mm barrel for huge glamorous hair and tourmaline technology for smooth and sleek results. Priced at £21.49 on Amazon.co.uk and with 46 customer reviews scoring 4 out of 5 stars, this is a winning hair styling tool. Look for a good price, expensive doesn’t necessarily mean it’s the best product available. 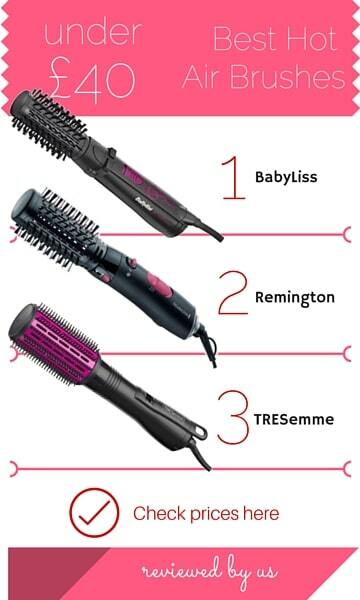 There are plenty of affordable curling wands which offer excellent technology and deliver outstanding results every time so don’t be tempted by a high price, check out the cheaper hair styling tools too, the reviews will give you plenty of information. 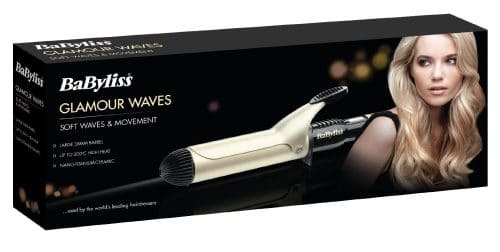 A product guarantee gives you plenty of peace of mind when choosing a curling tong so something like the Babyliss Glamour Waves Curling Tong not only delivers celebrity hair but also gives you a three year guarantee meaning it’s built to last! This particular product is an excellent price at just £18.99 from Amazon.co.uk and comes with four temperature settings and a titanium-ceramic barrel for the ultimate sleek and smooth finish. It has been reviewed by 559 customers so far and scores highly with 224 customers rating it 5 out of 5. Choose a product with a protective glove because it’s next to impossible to use a curling wand without protecting your hands and fingers. 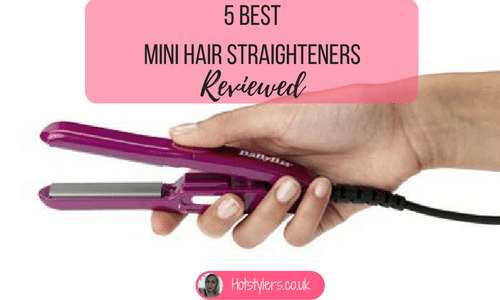 Remember, these styling tools get very hot so when you’re buying a curling wand, check it comes with a glove and if possible a protective mat so you don’t risk burn marks on your dressing table. Finally, if you want to be able to move round comfortably while styling your hair look for a curling wand with a long cord, the Toni & Guy Glamorous Jumbo Hair Tong comes with a 3 metre long salon cord so if your mirror isn’t near a plug point you don’t need to add an extension lead – this gives you plenty of length to move round your bedroom in comfort – no more stretching!